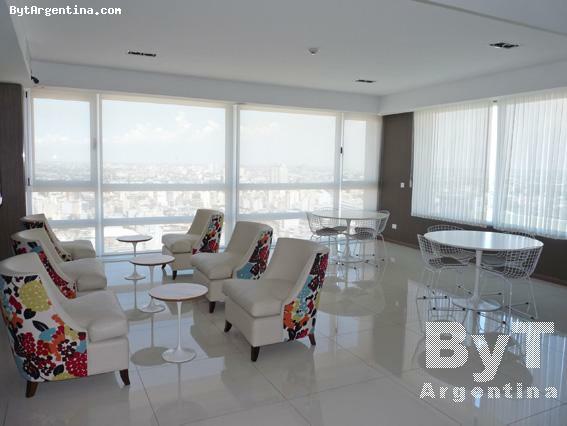 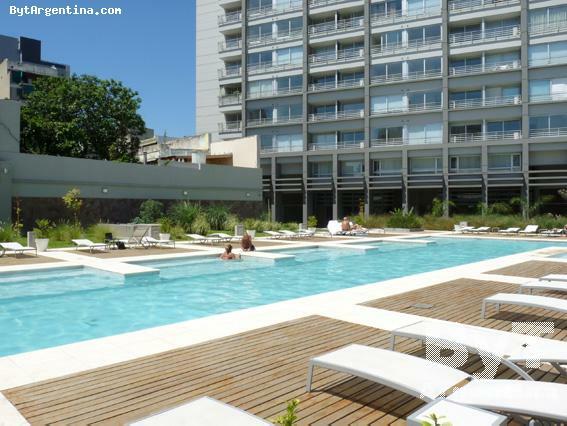 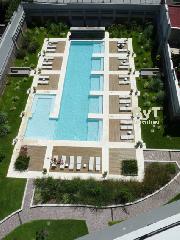 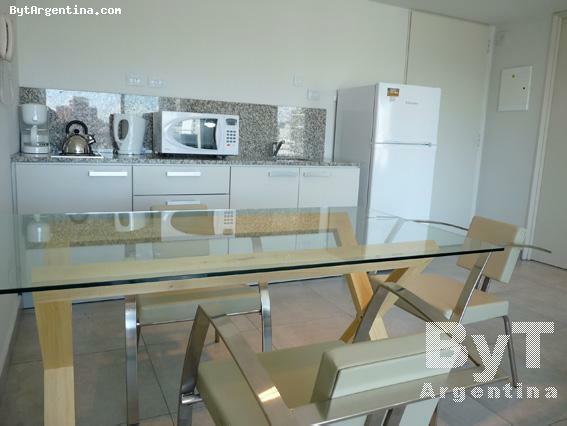 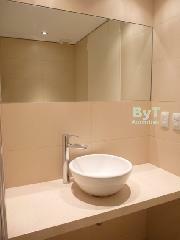 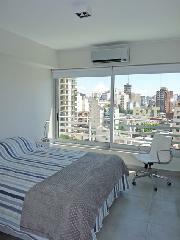 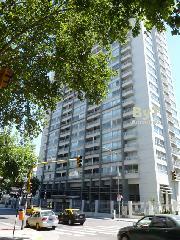 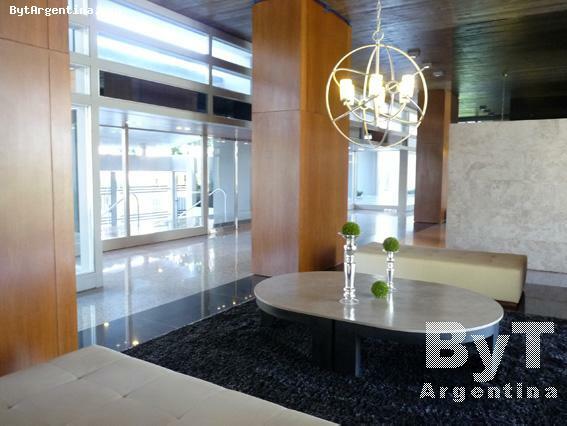 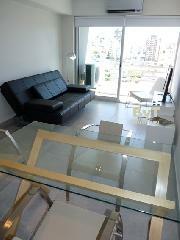 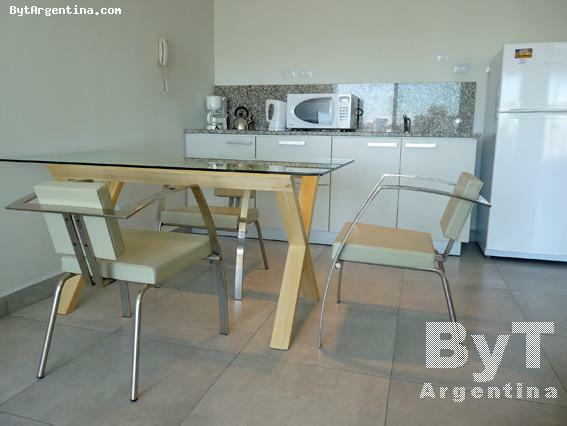 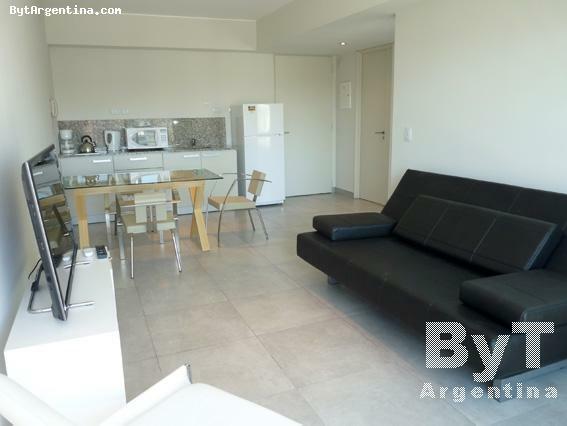 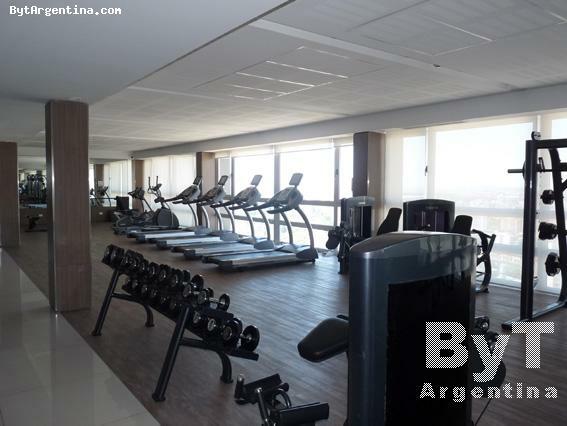 Bright and modern one-bedroom apartment in a brand-new top quality building. 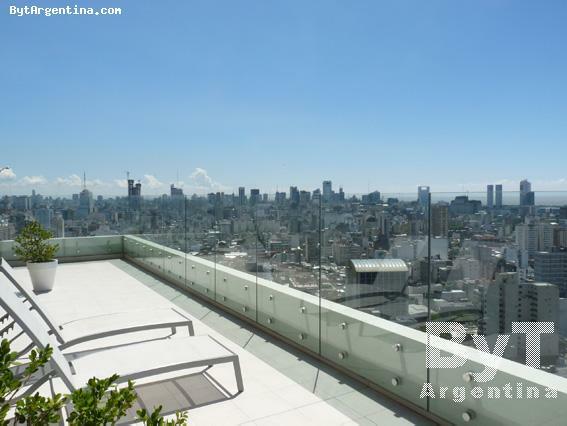 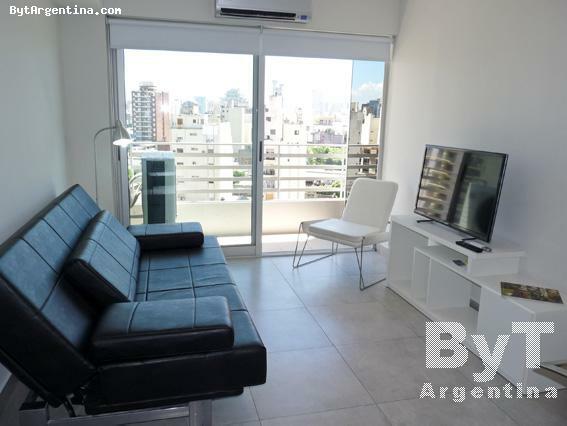 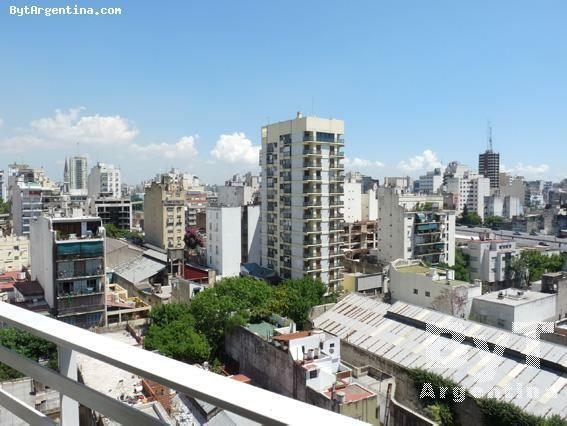 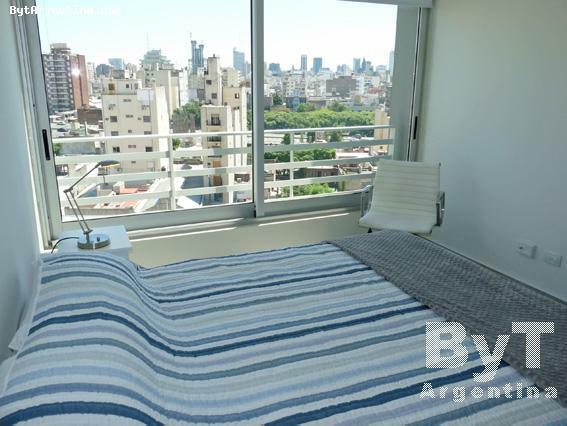 It is located in the San Telmo district, close the Lezama Park, the famous Dorrego Square (where every Sunday visitors will find the antique market with tango dancers on the streets), and Puerto Madero, with its several fine restaurants and coffee-shops. 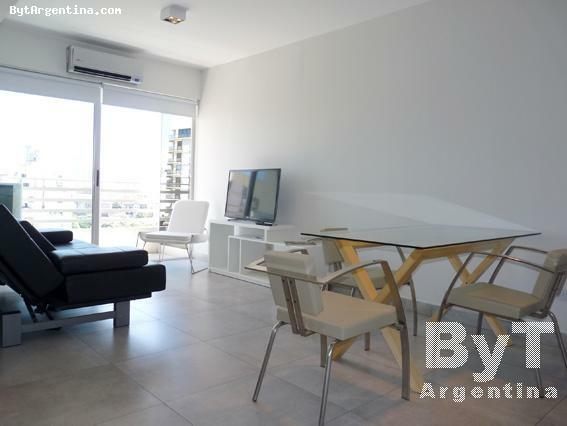 The flat offers a living-dining with a sofa-bed and a dining table for four people connected to an equipped kitchen, one bedroom with a queen size bed, walk-in-closet, one full bathroom and a balcony with a great open view. 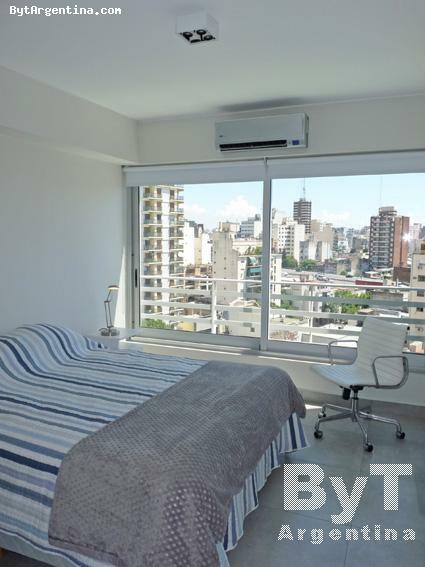 The apartment is equipped with Wi-Fi internet eccess, cable TV, air conditioning (cold-heat), fridge with freezer, microwave, dishes, kitchenware, linens and towels. 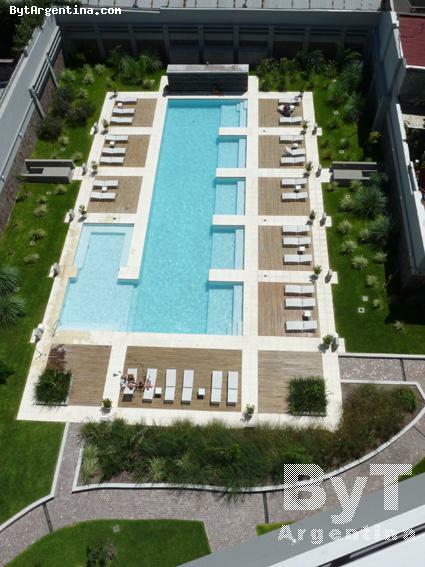 The building has all the amenities: 24-hours doorman, a large swimming pool. 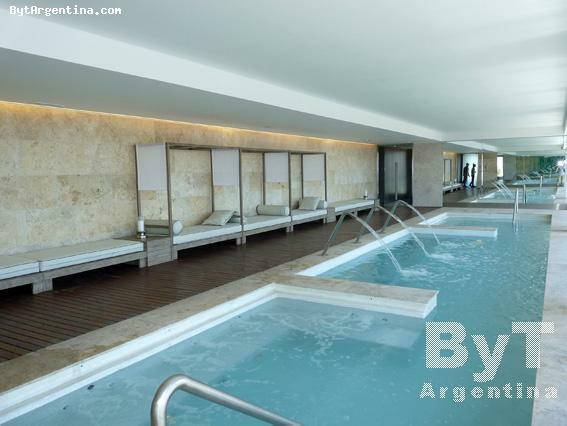 one indoor swimming pool with jacuzzi, top roof with lounge, gym, sauna, and solarium offering amazing views on the city.